Today is the 15th anniversary of superstar Leslie Cheung Kwok Wing's passing. Yesterday outside the Mandarin Oriental Hotel flowers from "Gor Fans" everywhere filled the street. The most eye catching was a giant fiery red high heel floral arrangement. Back then Leslie sang his song RED in red heels. Tonight fans would have a moment of silence as they have in previous years to remember their idol. Tin Kai Man earlier appeared on a Radio Hong Kong program and stated that he has been waiting for "Sing Yeh" to tell him to "take his mark" on a film production. Tin Kai Man revealed that he is working hard on coming up with great ideas for Stephen Chow Sing Chi. "I have to put in a lot of effort, otherwise that he would abandon them. He is very demanding even when he is at play." Mid April will be the Hong Kong Film Awards, as the Hong Kong Film Award Association director Tin Kai Man pointed out that every year he would invite Sing Yeh, but he has been too busy. This year's preparation period also ran into Sing Yeh at work. As for MERMAID 2 it will have to wait until June to wrap up production. Tin Kai Man said that he has always been waiting for Sing Yeh to tell him to "take his mark", but so far he still has not heard from him. "However some crew members have already contacted me and I probably would have a part. I too would like to participate. We have worked together closely for 13 years, he is a close friend of mine but I don't know if I am lucky enough to be his. He is like a teacher and a friend to me. We never built our friendship on profit." To Tin Kai Man, show business is not just a job but a dream. "I stay (in show business) for 30 years already, lately I have been nominated for the Federation of Hong Kong Filmmakers' presidency. I was both pleased and worried. Because this organization would take a lot of time, I would have less than to be with my wife." Speaking of his wife, Tin Kai Man stated that he owed her too much. He hoped to make up for it in the future, he also pointed out that although he was not a perfect husband his heart was working toward that goal. 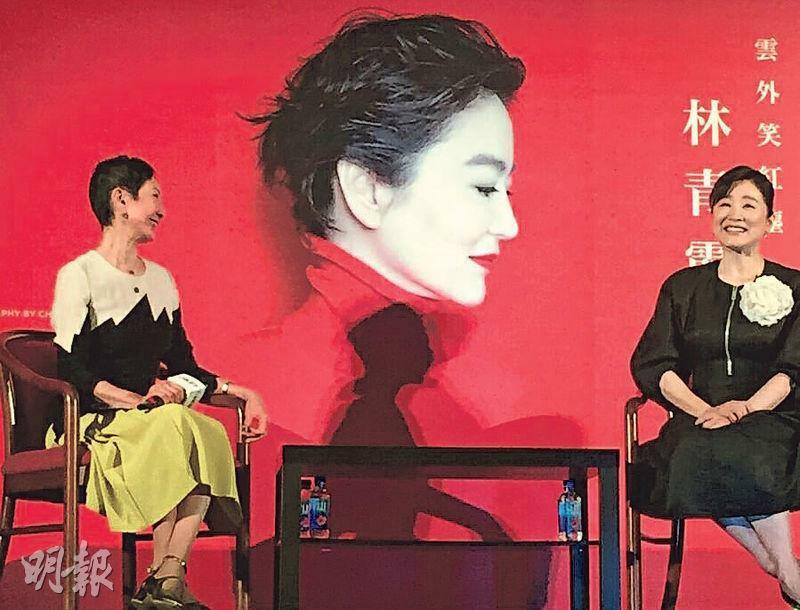 Brigitte Lin (Lam Ching Ha) last night attended a Hong Kong International Film Festival seminar. Ching Ha and her friend Shi Nansun started with Ching Ha's debut OUTSIDE THE WINDOW. Speaking of Taiwan romantic films, Ching Ha suddenly told her friend, "I love you, Shi Nansun! Please don't say I love you, I love you anymore!" A female fan even received a loving embrace from "goddess" Ching Ha. The Chinese Navy's Jiaolong ("Sea Dragon") Assault Team is famed for its skill in getting the job done. After its success in rescuing a cargo ship hijacked by pirates off the Somalia coast, the team is assigned an even more perilous mission. A coup in a North African republic has left local Chinese residents in danger, circumstances further complicated by a terrorist plot to obtain nuclear materials. 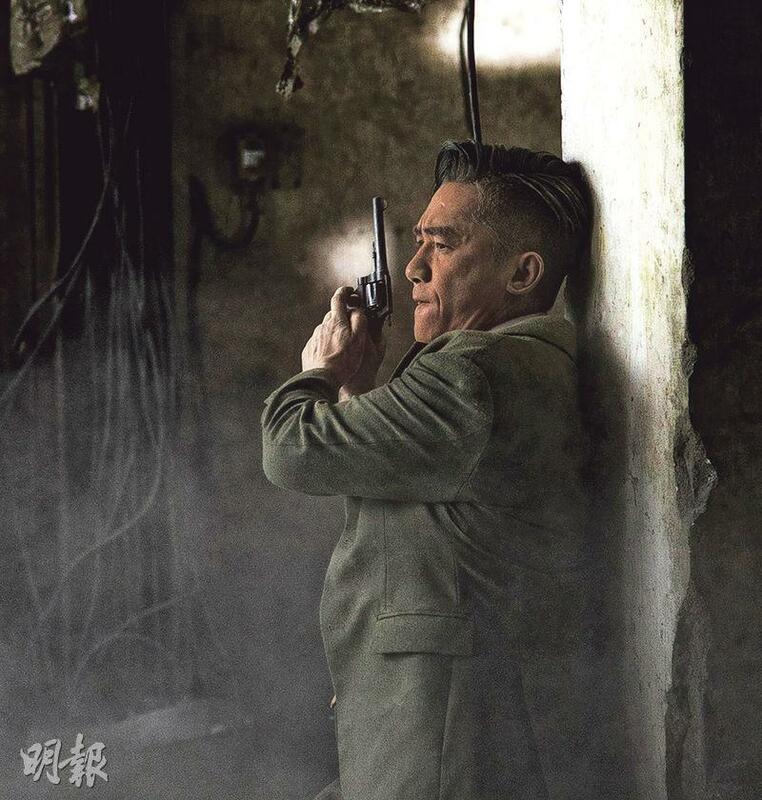 The situation could prove fatal to the hostages and disastrous to the entire region, and presents Jiaolong with a challenge that threatens the very existence of the team and its members. Nick Cheung Ka Fai's third directed and starred film THE TROUGH (DAI NGAK CHO) will open on May 3rd. The film would have many car chases, gun fights, combat and explosive stunts. To make everything perfect, Ka Fai did everything himself. He joked that he was the most afraid of listening everyone say, "That doesn't work!" He admitted, "The more impossible it is the more I want it, I am a jerk like this. This time has many gun fights and action scenes, the production is rather complicated. I even have to trigger the reaction bullets myself. Pressing shots on me is pretty intense, because I am afraid that I wouldn't perform well." Ka Fai revealed that a car chase scene had a road block so the team could thoroughly race, flip and lose a tail. He pointed out that this scene used many vehicles. Everyday after a shoot repair and parts replacement were done. If repair failed then a new car would take its place. He spared no expense for the highest quality car chase. April 1st would be the anniversary of Leslie Chung Kwok Wing's death. Although he has already passed for 15 years, "Gor" fans were still missed him very much. For every one of "Gor Gor"'s birthdays and anniversaries, Japanese "Gor" fans would fold origami cranes for Gor Gor. This year they even folded 912 shining silver origami cranes to represent Gor Gor's everlasting brilliance. On April 1st they would personally bring the origami cranes to Hong Kong to present to Gor Gor and even left a message for Gor Gor, "On the 15th spring, we made a new origami crane for you. It was made with 912 origami cranes. The theme is 'Everlasting Brilliance', as you and your honor will shine forever; your smile and pristine soul will be bright always. Leslie, we will always love you and always praise you." 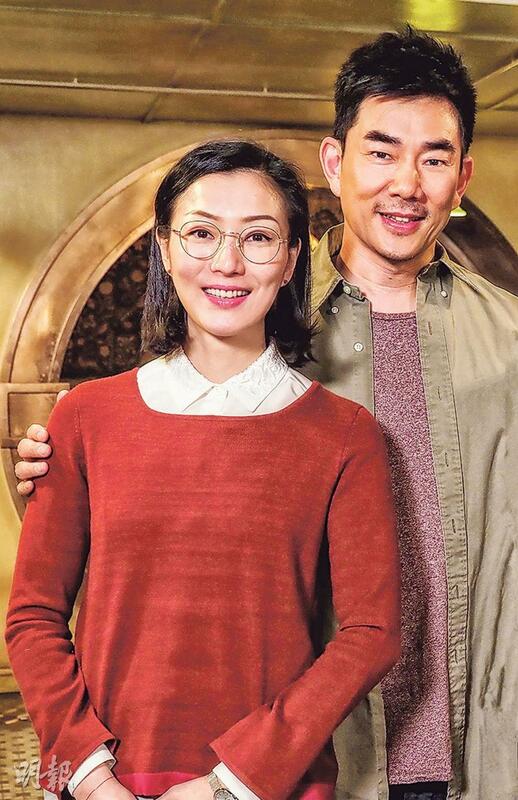 Sammi Cheng Sau Man starred in the Ann Hui On Wa produced, Heiward Mak Hei Yan directed and written film FAGARA IN MARA (FA JIU JI MEI), based on Amy Cheung Siu Han's work MY SPICY LOVE. Other actors included Richie Jen (Yam Yin Chai), Kenny Bee (Chung Chun To), Megan Lai Ya-Yen, Cherry Li Xiaofeng and others. The film's backbone would be the father daughter relationship and examined the fate of 3 daughters. Sammi and Chung Chun To played daughter and father, while Lai Ya-Yen and Li Xiaofeng played her half sisters. Sammi after MARRY A RICH MAN (GA GOR YAU CHIN YUN) worked with Yam Yin Chai after 16 years. Yam Yin Chai joked that Yang Guo and Xiaolongnu did not meet again for 16 years, thus he jokingly called Sammi "Goo Goo". In the film they would have romantic scenes but Yam Yin Chai said that he did not know how intimate they would get. He praised how sharp Sammi's acting has become. This time Sammi's costume was very dramatic, on the set he almost did not recognize her and even asked where Sammi was all over. Sammi revealed that Yam Yin Chai gained 30 pounds for the role and joked, "No time no longer, you are fatter and prettier!" Yam Yin Chai joked that even the wrinkles on his face expanded. 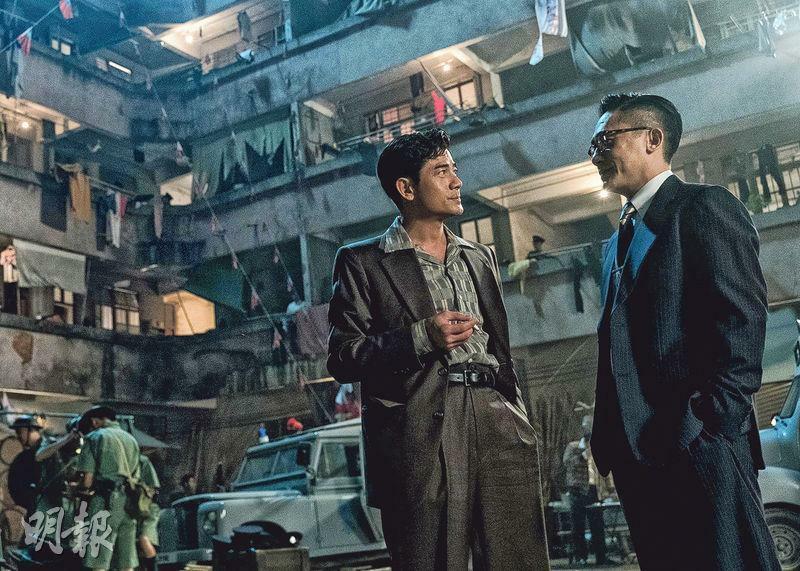 Best Actors Tony Leung Chiu Wai and Aaron Kwok Fu Sing starred in the Philip Yung Tsz Kwong directed new film THEORY OF AMBITIONS (FUNG JOI HEI SI). Also in the film were Michael Hui Koon Man, Michael Chow Man Kin, Tse Kwan Ho, Patrick Tam Yiu Man, Jennifer Du Juan and others. Stills were released yesterday. Yung Tsz Kwong revealed that one of the main reasons making THEORY for him was Sing Sing. When he made PORT OF CALL (DAP HUET CHUM MU), he felt that Sing Sing had a star of yesteryear feel like Cary Grant. Later he watched the Martin Scorsese's WOLF OF WOLF STREET and saw Leonardo DiCaprio's character and thought, "Isn't that Lui Lok?" Filled with inspiration for the characters they created in the film, their choice for this character naturally had to be Sing Sing. Last time in PORT OF CALL Sing Sing was dirty and old, this time he owed him a handsome look. 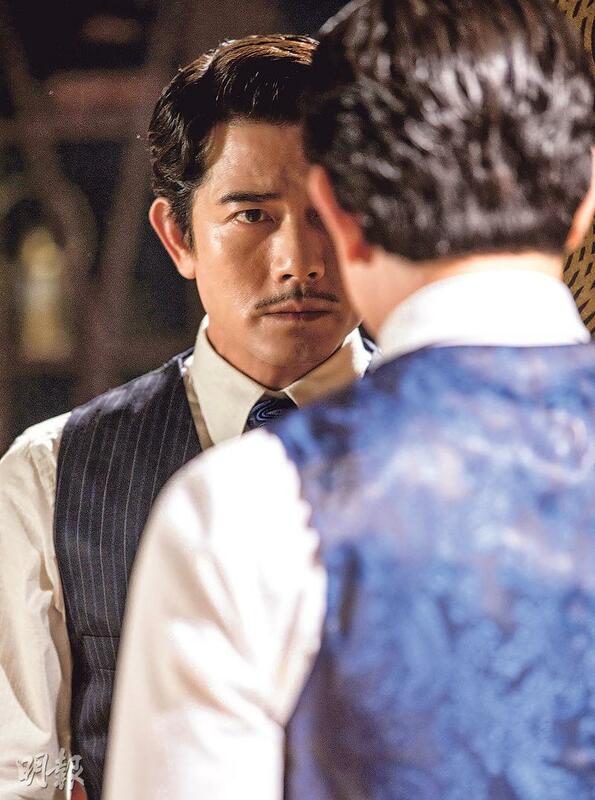 Yung Tsz Kwong earlier did not dare to imagine inviting Wai Jai to play a character that was mild mannered but full of schemes. He said that he had no more regret. 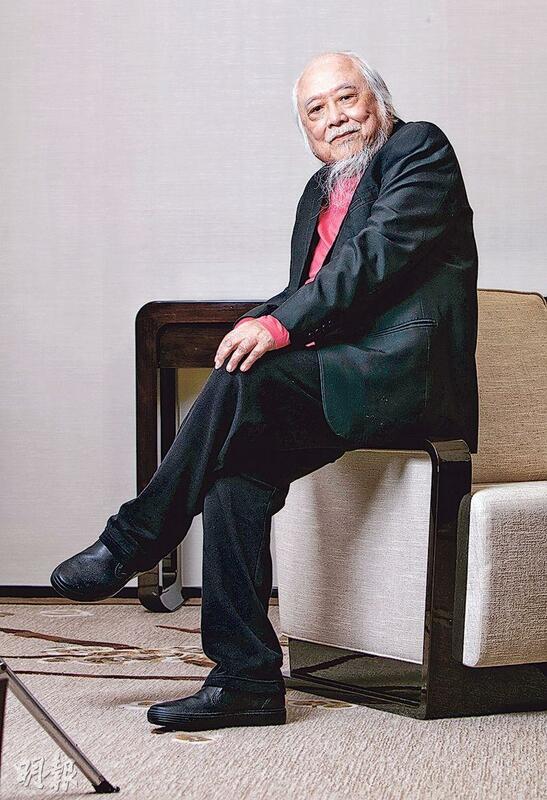 He said that Wai Jai represented the Hong Kong film industry at its most glorious and beautiful generation. He was willing to make THEORY also because his relationship with Hong Kong film. Relationships are very important to Wai Jai, as he is a very sensitive and attentive person. The Hong Kong Film Award Association yesterday announced this year's Lifetime Achievement Award winner to be famous director Chor Yuen. The event will present the highest honor to Director Chor Yuen on April 15 at the award presentation for his contribution to the Chinese film industry. 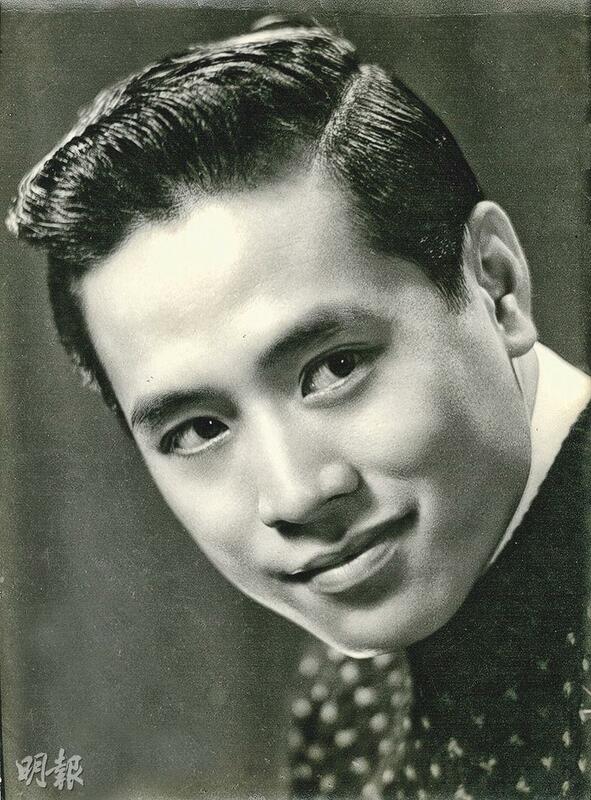 Currently 83 years old, Chor Yuen joined the business in 1955. In 1958 at age 24 he made his solo directing debut with GRASS BY THE LAKE. In 1960 he already made the critical and commercial success, the social family tragedy THE GREAT DEVOTION. In the early 70s his Cantonese film THE HOUSE OF 72 TENANTS made over HK$ 5.6 million and broke Golden Harvest's film box office records that Bruce Lee films monopolized for years. At the same time, THE HOUSE OF 72 TENANTS revived the once vanished Cantonese film production. Director Chor Yuen's highest achievement in Cantonese film undoubtedly was his beloved romantic drama, the Ida novel based BE MY LOVE (1968) left the studio and shot mostly on location. The cinematography had layers and the atmosphere cold, rich in European film flavor. Director Chor Yuen even began the Gu Long wuxia novel adaptation fever, from 1976's KILLER CLANS (LAU SING WU DIP GIM) to THE MAGIC BLADE (TIN NGAI MING YUET DOH, 1976), CLANS OF INTRIGUE (CHOR LAU HEUNG, 1977), JADE TIGER (BAK YUK LO FU, 1977), DEATH DUEL (SAM SIU YEH DIK GIM, 1977), THE SENTIMENTAL SWORDSMAN (DOR CHING GIM HAK MO CHING GIM, 1977) and others. 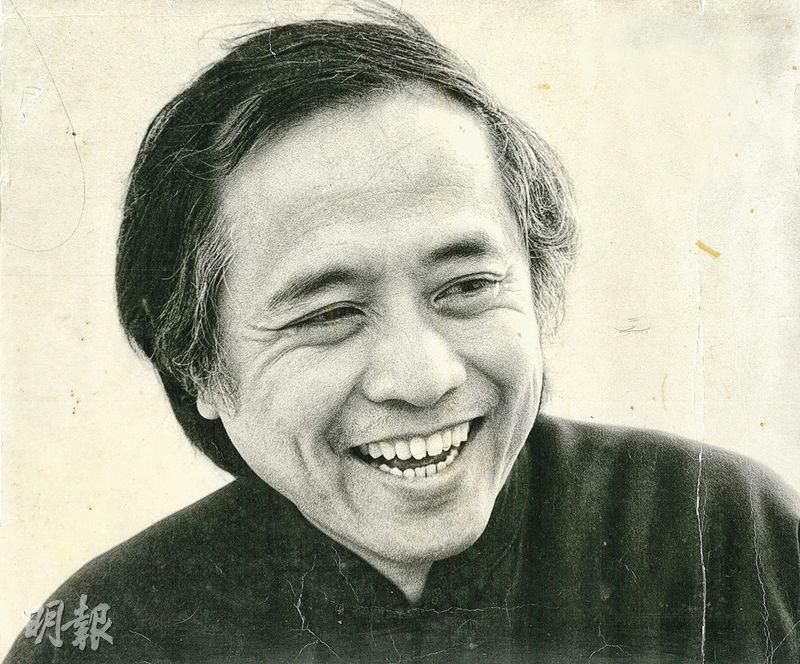 In the 80s, Director Chor Yuen's creativity remained strong. Today's superstars Chow Yun Fat and Stephen Chow Sing Chi have worked with Director Chor Yuen respectively on THE DIARY OF A BIG MAN (DAI JEUNG FU YUT GEI, 1988) and SLEAZY DIZZY (SIU CHAU AH SING, 1990). The Juno Mak Chun Lung directed film SONS OF THE NEON NIGHTS (FUNG LUM FOR SHAN) after 8 months of intense productions finally wrapped up its production for the five major leads; Takeshi Kaneshiro (Gum Sing Mo) went from the first day of production to the end of last year; Tony Leung Ka Fai and Sean Lau Ching Wan both from June last year to November, while lead actress Gao Yuanyuan finished soon after. SONS OF THE NEON NIGHTS wrapped up its production and entered into its post production process. Last September SONS OF THE NEON NIGHTS released its first behind the scene footage that gave a glimpse into its team, production and style, which already led to a huge response. The behind the scene look this time had even more on set production details and the leads' wraps. SONS shot in the Mainland, Hong Kong and overseas. The team experienced the challenges of over 30 degree Celsius high and 20 below zero degree Celsius low, almost 60 degrees of temperature difference; from the city to the snowy mountain, from the summer to the winter, with painstakingly created large scale scenes without sparing any detailed honing, the professionalism of the director, the cast and the crew's pursuit for perfect would be embodied everywhere. In addition, singer and record producer Juno also demanded an unique style for music and creativity. Before the production began, he already invited RIGOR MORTIS (GEUNG SI)'s English composer Nate Connelly to write several dozen songs according to the film style. He listened to them on the set as he got into his work. This time the behind the scene special also put on brand new music for him on a rare occasion. Juno said, "This film's creative and production process resembles a 'pregnancy' process even more. It is not a streamline production. During the creative and production process, I was particularly strict with myself because my greatest enemy is myself. Luckily the team is just as into it as I was. Everyone waited for hours together for a real snow scene." Director Chan Tai-Li, Teresa Mo Shun Kwan, Ling Man Lung, Prudence Liew Mei Kwan, Candy Yu On On, Alvina Kong Yun Yin, June Lam Siu Ha, Raymond Wong Pak Ming, Bondy Chiu Hok Yi, Fiona Sit Hoi Kei and Chrissie Chau Sau Na last night attended the film TOMORROW IS ANOTHER DAY (WONG GUM FA) star special screening. Sister Mo has already seen TOMORROW several times, each time she would be moved to tears. Her younger daughter who normally would not cry at the movies actually cried twice, especially that scene in which she cried for help. 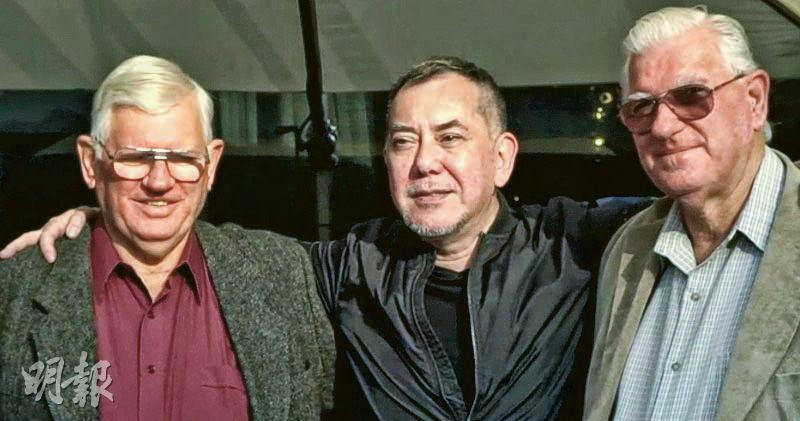 As for Anthony Wong Chau Sun successfully finding his family and meeting his half brothers, Sister Mo felt that it was a very special and very touching event. Finding family that has been lost for decades felt very miraculous, she really would like the chance to interview him. Making his film debut, Ling Man Lung said that he wanted to invite his parents. 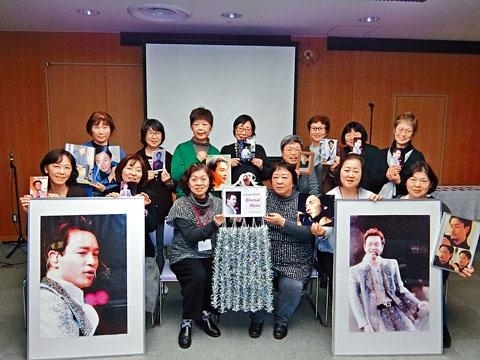 His godmother Yu On On also attended and said that this was the third time she saw the film and still got teary eyed. She was pleased with her godson's performance. Yu On On sent a text to congratulate Chau Sun on finding his lost relatives, which she felt was very touching because he was able to find his family and root. Chau Sun also replied with a thank you. On On said, "Although I haven't had the same thing happened to me, I understand the feeling of finding where you came from." Chau Sau Na was asked if she came to steal the spotlight? She said, "Both, stealing the spotlight and showing my support. Because this type of film subjects is rare, I came to observe. In addition Sister Mo was also nominated for a Hong Kong Film Award, I want the chance to learn." She also said that she already brought tissue with her because she was an easy crier, especially with this type of movies about family. Was she confident about defeating Sister Mo? She said that she has not thought about it. She would wait until after watching the film. In addition she still was not nervous at that moment, instead now she has a headache about what to wear. This year's Hong Kong Film Awards' hosts will be Charlene Choi Cheuk Yin and Louis Cheung Kai Chung. Their award theme song IMMORTAL had Day Tai composed its music and Leung Pak Kin its lyrics, as well as director Steve Chan Chi Fat to direct its video in accordance of this award's theme FOREVER YOUNG DARE TO DREAM. The IMMORTAL music video radiated positive energy to cheer on this year's award show. Ah Sa and Ah Chung interpreted easily the young film dream. In order to encourage even more domestic innovative technological elements in the film creative industry the 54th Golden Horse Best Animated Short award winners Shek Ka Chung, Ricky Wong Chun Long and Jess Wong Chi Ying to were invited to create the animated portion. All three were Hong Kong Open University Creative Art students. Andy Lau Tak Wa yesterday attended an UNCIEF event as a special guest. Speaking of Leon Lai Ming becoming a father, Wa Jai congratulated him and said that earlier he just told the UNCIEF Hong Kong committee chair that in a few years he could ask Lai Ming to attend the event. The Four Great Heavenly King would soon become the Four Great Fatherly King. Wa Jai said, "Because the Four Great Heavenly Kings, we have been very closely connected." Wa Jai revealed that he would guest star in the Ann Hui On Wa produced new film FARAGA IN MARA (FA JIU JI MEI). 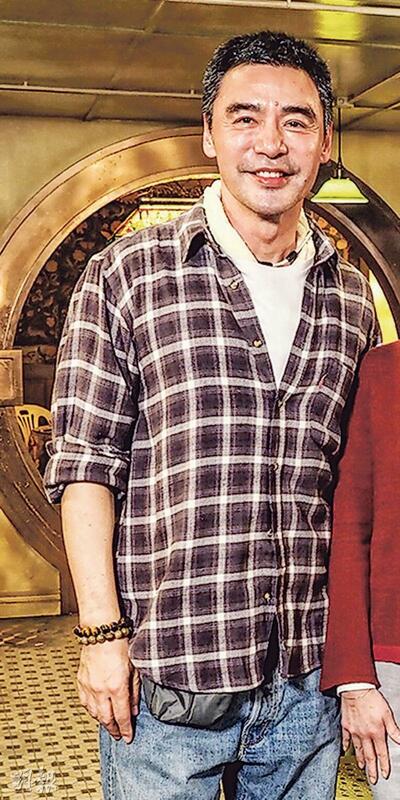 In the film he would play Sammi Cheng Sau Man's boyfriend. Did they have any intimate scene? Wa Jai said, "No, but I can't turn it down right away. Ann's films don't have that, if Ang Lee asks me then I would worry a little." He would also work on another film THE WHITE STORM 2 DRUG LORD (SO DUK 2). In July he would offcially rehearse for his Hong Kong Coliseum concerts at the end of the year. Would he not be able to perform the highly difficult stuns like he used to? Wa Jai said that he did not know, but because he did not have any aerobic exercise for a year he would get used to it in advance. Highly difficult stunts might be affected because he was not as flexible as he used to. Director Kearen Pang Sau Wai starred 29+1 two nights ago began its 11th run. 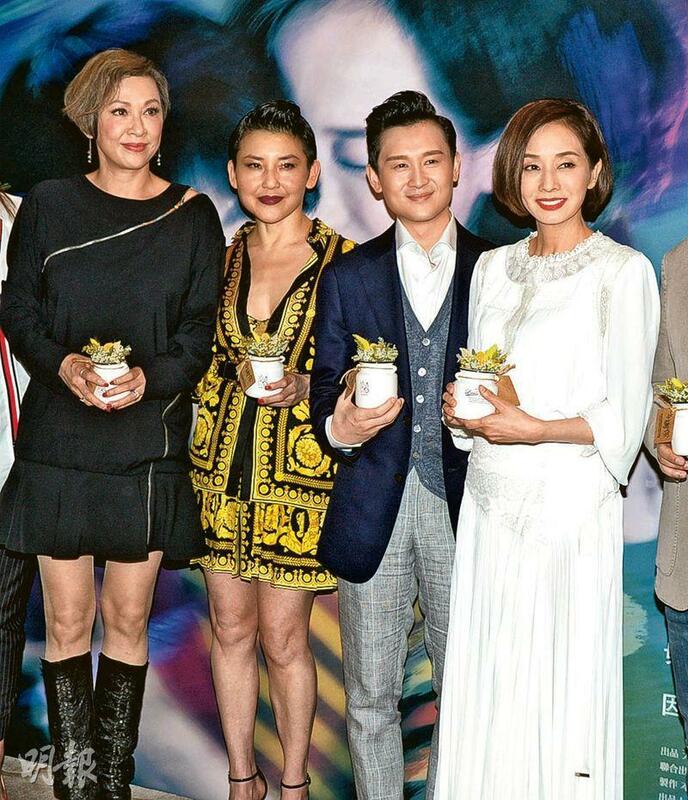 Joey Yung Tso Yi, Mag Lam Yun Tung, Ken Hung Cheuk Lap, Winki Lai Wai Ling and Anjaylia Chan Ka Bo showed their support. Joey who just broke up with Wilfred Lau Ho Lung declined any interview and stated that she did not have much to say. As for her three Hong Kong Film Award nominations next month, including Best New Director, Best Screenplay and Best Director, was she confident? Director Pang said, "Being confident or not makes no difference because having confidence can't change the result. I might as well put my confidence into something that is within my control." Pang Sau Wai said that she has not picked out what she would wear. After the play she would still have a week to prepare. She sad, "My friends have already told me to be ready because my name would be called three times. It hasn't happened to me before, I may have to take heart medication before hand." Which award would she like to win the most? She said, "I want to win the Screenplay award because 29+1 has been around for over a decade, turning from a play to a film. Some friends also changed their lives because of this film."